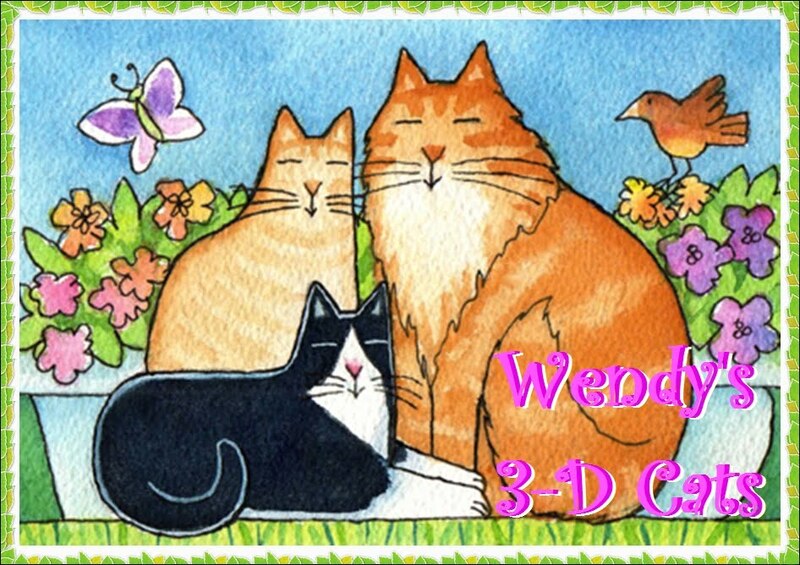 Wendy's 3-D Cats: WHEN IT COMES TO SKATING, DOMINO'S GOT IT ALL 'FIGURED' OUT! WHEN IT COMES TO SKATING, DOMINO'S GOT IT ALL 'FIGURED' OUT! Today Domino had her turn on the ice at the Sochi Winter Olympic Games. She is one of the star CAThletes of the Canadian Olympic Figure Skating Team. 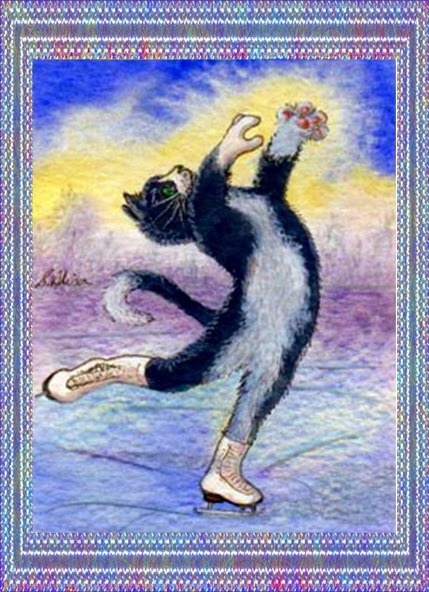 Although her technical ability is second to none (she is one of few ladies who can PURRform a triple axel), it is her interPURRtive artistry that makes her truly stand out. In the short program, Domino chose a 'Swan Lake' theme, and indeed was as graceful as the swan itself. The program went off without a hitch and the applause at the ice rink was thunderous! In the crowd is Domino's sweetheart, Milo, with a bouquet of red roses. 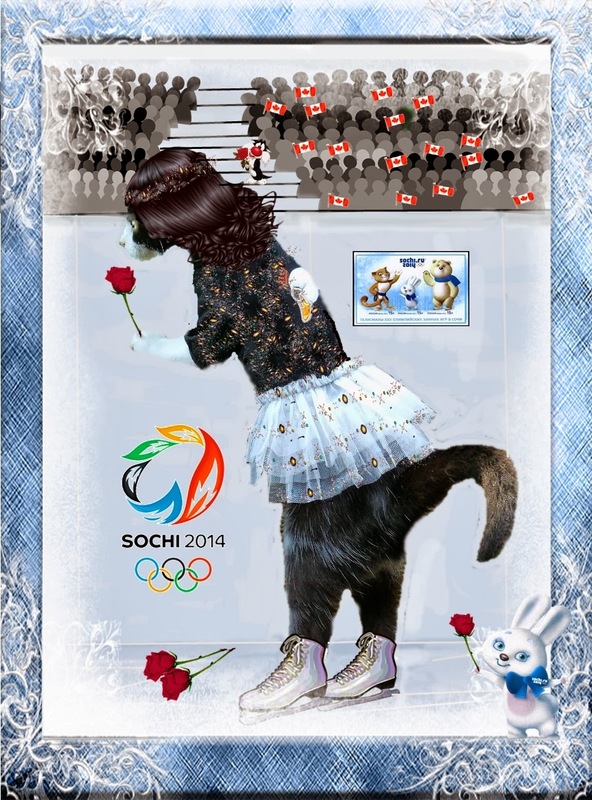 After her PURRformance was finished, he threw several stems onto the rink for her to collect. Here is just one of Domino's many artistic moves. She puts all of her heart and soul into her skating, and the atmosphere was absolutely electric! 'Katy Did' from the U.S. was technically sound, but lacked Domino's finesse. All the same, skate well she 'Did'! And this little Polish pig, Polly Pierogy, was just a show-off. She did back flips which are banned in Olympic competition, and so she was eliminated. I fear you're bound for back bacon after this, Polly! Milo couldn't be prouder of his longtime love and couldn't help but make goo-goo eyes at her. Save some of that for the long program, Milo! Congratulations Domino, and Best of Luck for what is yet to come. As long as you TOE the line, you'll be just fine! P.S. 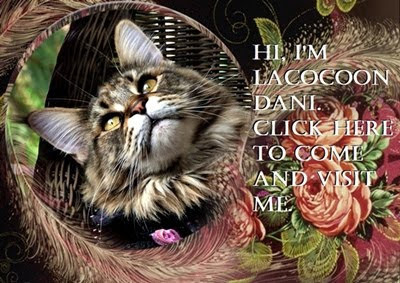 If you'd like to see Domino and Dylan's brother, Dante, who is a competitor in the Olympic Winter Biathlon, just go to "All About Lacocoon Dante" to see how he's doing.